Rules against anarchy in the building gym? Q. In my building’s gym, we have one control for the TV's and thermostat. There are times when I go in the gym and someone else is in there and the TV is blasting and I can't hear my iPod, or someone comes in and changes the thermostat without asking me first. This is my first building gym and I feel like people at New York Sports Club actually have more manners. Our building is new and doesn’t have proper house rules yet. What rules do established buildings impose to make life better for everyone sharing a common gym? A. In a city where public displays of spin class enthusiasm can incite an assault by fellow gym-goers, the set-up you describe is a recipe for disaster. 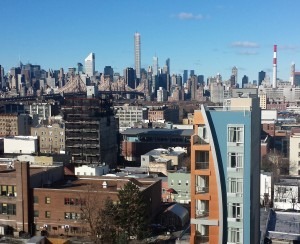 “Any gym I build will have individual televisions or wireless headphones for the television exactly because of this problem,” says Paul J. Herman, a BrickTank expert and the president of Brown Harris Stevens Residential Management, which has helped co-op and condos install and operate gyms. At a minimum, he says, both the tv volume and the air temperature should be pre-set and locked so that people can’t adjust them. Elena Bayrock, a BrickTank expert and director of the Safe Horizon Manhattan Mediation Center—a local non-profit organization that will mediate neighbor-on-neighbor disputes for free—points out that your neighbors may not even know they’re being annoying. When rules are broken, it’s also up to your board to back them up. “Tell people who don’t follow them that they can’t use the gym,” says Herman. 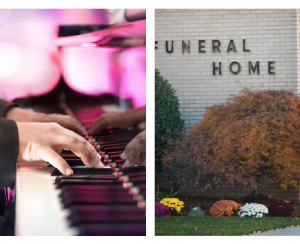 Would you rather live above a jazz club or funeral home?